Lyme disease holistic therapy with natural supplements and glyconutrients to treat leaky gut and adrenal insufficiency. Holistic medicine is defined in different ways. In general, it focuses on how the physical, mental, emotional, and spiritual elements of a person are interconnected to maintain health. When one part is not working well, it is believed to negatively affect the whole person. Holistic approaches focus on the whole person rather than just on the illness or part of the body. For some people, holistic medicine is defined strictly as complementary and alternative medicine. Some holistic practitioners use unproven or disproved methods to treat illnesses. Available scientific evidence does not support claims that these complementary and alternative methods, when used without mainstream or conventional medicine, are effective in treating cancer or any other disease. Other people use the term holistic to mean treating the whole person rather than simply managing disease. For instance, many mainstream health professionals promote healthy lifestyle habits such as; exercising, eating a nutritious diet, not smoking, and managing stress as important in maintaining good health. Holistic methods are becoming more common in mainstream care and may be used along with standard treatment or preventive care. In some mainstream practices, doctors, nurses, and other professionals may add complementary or non-mainstream treatments to their usual care. This may be called holistic care, but is more often called integrative care. The field of holistic medicine is very diverse. Some providers define holistic oncology as ‘including emotional and spiritual care’, while others focus on these aspects with the exclusion of the physical. There are many different techniques and approaches in holistic medicine, depending on the practitioner, the person, and the illness. It is important to stress the use of treatments that take into account the person as a whole. 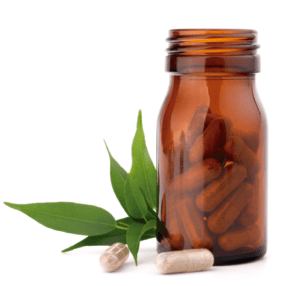 Holistic medicine can also include supplements that produce the same changes as conventional pharmaceutical drugs. For instance, synthetic interferon is used to treat people with certain types of cancer. A holistic approach might be to take high doses of intravenous vitamin C instead, in an attempt to stimulate the body’s production of its own interferon. The American Holistic Health Association says that, ‘healthy lifestyle habits will improve a person’s energy and vitality’. Those habits might include; exercising, a nutritious diet, getting adequate sleep, finding creative outlets, practicing compassion, and working toward inner peace. Some people might take herbs and dietary supplements, use acupuncture, guided imagery, healing touch, yoga, meditation, and other methods in an effort to promote health. Still, others may interpret holistic care to include methods including; colon cleansing, restrictive diets or fasting, and special “detox” regimens. **Patients should consult with a trusted doctor or specialist before using any of these approaches due to possible complications. In 1926, Jan Christiaan Smuts coined the term “holism,” which gave rise to a more integrated concept of medicine, involving the body and mind, which is now known as holistic medicine. Holistic methods became particularly popular during the 1970’s. Today, holistic medicine is more of an approach to a positive life and improved health that brings together the physical, mental, and spiritual aspects of a person. Available scientific evidence does not support the idea that alternative practitioners are more effective than conventional physicians in healing their patients or improving their lifestyle. Nor have available scientific studies shown that any of these approaches are effective against any disease if holistic methods are used without conventional medical treatment. Some health care professionals suggest that cancer pain and some side effects of treatment can be managed with a holistic approach. Increasingly in today’s world of medicine, health care teams are made up of a varied group of health care professionals. Members of this team are drawn from the specialties of medicine, nursing, surgery, radiation therapy, oncology, psychiatry, psychology, social work, etc. In addition, the team may call on dietitians, physical therapists, and the clergy for support. Our human body will overcome just about any virus if it were supplied with the right nutrients. What most of us do not know about our digestive system is that our bodies only receive 3% of the nutrients of the food we consume! One of the most important ways to beat Lyme disease, in my opinion, is to Juice using fresh fruits and vegetables daily! Juicing helps you absorb all the nutrients from the fruits and vegetables we eat, 97% to be exact. Juicing allows you to consume an optimal amount of fruits and vegetables in an easier and more efficient manner. You can add a wider variety of fruits and vegetables in your diet by juicing. It eliminates potentially “unhealthy” parts of the fresh produce we eat (such as sugar), and simply extracts the beneficial nutrients to add into your daily diet. Making smoothies gives you a even better result because a smoothie allows for even more ingredients to be included that you could never put in a juicer- such as Flax Seed, Honey, Yogurt, Milk, Oatmeal, nuts, and of course glyconutrients. Glyconutrients are essential sugars that adhere to the cells in our body to help these cells communicate. The increase in essential sugars help our body’s immune system fight off infections and protect against disease! Flax, Chia, and Hemp Seeds. All of these types of seeds are high in omega-three fatty acids, which most of us need to increase in our daily diets. Many Americans consume an incorrect ratio of omega-three to omega-six fatty acids, and this leads to inflammation. By increasing the amount of omega-three fatty acids in your diet, you can reduce it. Be aware, however, that to get to those good fats in flax seeds, they must be ground up first. Why do we have to boost our metabolism and/or feed our systems amount of vitamins, minerals, amino acids, etc.? Because, it may be that we’re compensating for a leaky gut. Increased intestinal permeability problems are common for people with asthma, rheumatoid arthritis, IBS, or AIDS, and Lyme disease. Leaky gut syndrome also creates a long list of mineral deficiencies because the various carrier proteins present in the gastrointestinal tract that are needed to transport minerals from the intestine to the blood are damaged by the inflammation process. For example, magnesium deficiency can result in muscle pain and spasms. Similarly, zinc deficiency can result in hair loss or baldness. Copper deficiency can lead to high cholesterol levels and osteoarthritis. Further, bone problems develop as a result of the malabsorption of calcium also. Foods high in Magnesium that help Leaky Gut. Green tea has been shown to improve blood flow, lower cholesterol, and helped prevent a range of heart-related issues, from high blood pressure to congestive heart failure. 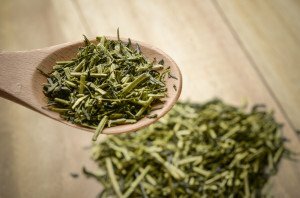 Green tea seems to help keep blood sugar stable in people with diabetes.